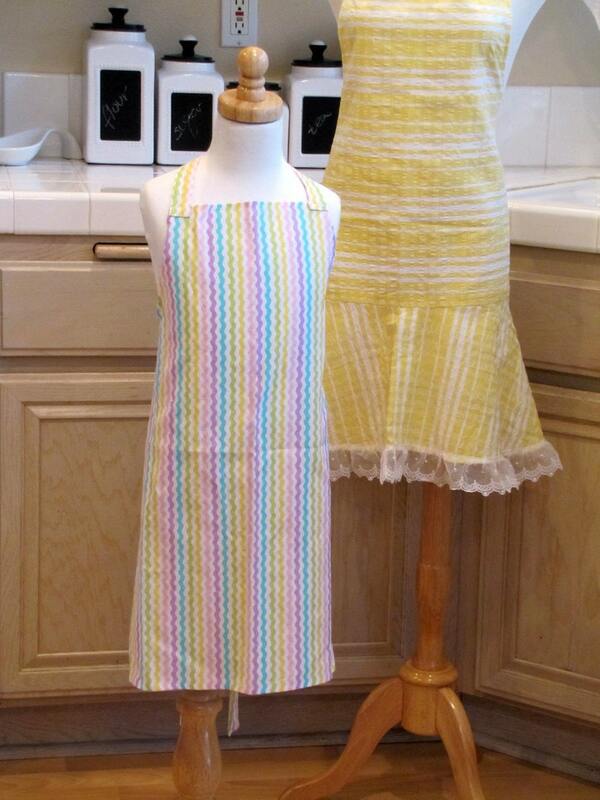 Give your favorite little kitchen helper a fun holiday treat with this colorful Easter full bib BBQ apron. The apron is made of fabric featuring a colorful pastel rick rack stripe fabric. It measures 23" wide and 24" long. The neck loop is 28.5" long and the waist ties are 29" long which should accommodate varying and growing sizes. The neck loop can be worn very short by tying it into the waist ties or knotting it in a lop. Both are shown in the photos.